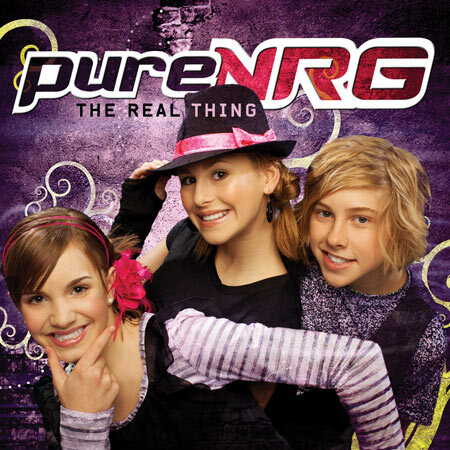 The talented trio known as pureNRG has definitely been making their name known over the past few years. Since their 2007 debut, the group has released two more full studio albums, a Christmas album, and a seemingly unnecessary remix record this past March. To keep the attention of a younger audience, this may be necessary, but after a spin through The Real Thing, pureNRG may want to think hard about their next move. It's not to say that there's technically anything wrong with pureNRG's music when generally speaking. The lyrics are as wholesome as humanly possible. Themes range from pointing out the impact and downfalls of secular culture to learning how to live a life in constant worship to Christ. In fact, if there was any music that parents of tweens would want their kids to listen to, this would be it. The group certainly has their priorities straight, and the lessons reflected through their lyrics set a perfect example for kids growing in a relationship with Christ. The sound of the music itself hasn't changed, either. You'll still find the typical, sometimes annoying, bubblegum-pop anthems that are catchy every now and then, but mostly overproduced. The real issue is that pureNRG needs to keep up the pace with their music to follow the generation that they started with two years ago. Their sound will need to mature by a large amount on their next record if they want to hang on to their original fan base. It doesn't seem like an option at this point to keep making the same type of music over and over again. Jump5 figured that out, and it opened a lot of new doors for them. The God-given potential to expand the horizons and do something unique unquestionably exists in this group, and now it's time to act on it.